Commercial property owners have a wide variety of requirements for heating and cooling equipment in Minnesota due to our extreme weather conditions. For small to midsize standalone buildings, our full-service air conditioning company offers a wide range of rooftop HVAC units specifically designed for affordability and reliability. 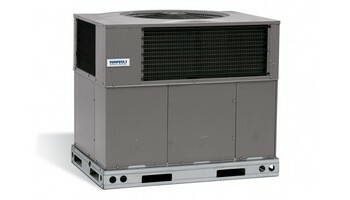 Tempstar manufactures a number of economically-priced packaged air conditioners and combination gas heat and electric cooling systems specifically designed for the needs of these commercial properties. PAD Series Air ConditionersTempstar’s highly affordable packaged air conditioners come with the great features you need, with solid reliability built in. Fully charged and tested at the factory, these compact packaged air conditioners offer 2-5 nominal ton capacity, available in three efficiency ratings: 13-SEER PAD3, 14-SEER PAD4, and 15-SEER PAD5. Efficient scroll compressors, weather-resistant cabinets, and durable components make these low-priced AC systems a great choice when budgets are tight. Depending on building design, they can be mounted on rooftops or at ground level, providing maximum flexibility for installation.13 SEER, 14 SEER, and 15 SEER efficiency models available.Quiet operation, rugged cabinets, and flexible configuration.10-year limited warranty on functional parts .PGS and PGD Series HVAC Systems Designed specifically for small, standalone commercial buildings, Tempstar packaged gas heat and electric cooling systems pack desirable features and performance into small, compact packages. Available in both entry-level PGD series and mainline PGS series, all feature quiet-running Copeland compressors, easy access weather-resistant cabinets, and a range of models with efficiency ratings that let you pick the exact combination for your requirements and budget. All offer flexible rooftop or ground level mounting, and exceptional warranties for this economical price range. Their 2-5 nominal ton capacity offers the flexibility you need for your small commercial building.Up to 15 SEER AC and 80.4% AFUE heating efficiency.Stainless steel heat exchangers in PGS mainline models.Up to lifetime heat exchanger limited warranty for PGS models.